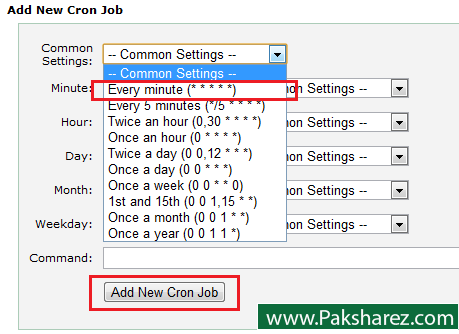 2 – Cron Email enter your email if you want to receive email notification when cron job runs it depends on your cron settings. 3 – Setting Add New Cron Job according to your own and in Command field put the URL or command you want to execute every time cron runs. It looks like this after you successfully add new cron job.